Our Markha Valley Trek is one of the most famous treks in all of Ladakh. Suitable for moderate levels of fitness, the Markha Valley trek is an amazing opportunity to enjoy the serenity of the Himalayas whilst trekking through tiny villages and homes. Enjoy the lush green pastures of Nimaling and the views of 'Kang Yatse' peak whilst journeying on a voyage of self discovery! Wake at your leisure and enjoy breakfast in the hotel. 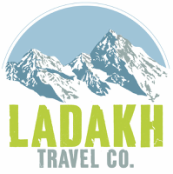 Our driver will collect you and transfer you for a half day of Leh city sightseeing (sticking to the same altitude because you will still be acclimatising). Your first stop will be the magnificent Leh Palace, perched up on a small mountain with a magnificent view of the town. Enjoy a self-guided tour through the various 17th century built palace as navigate your way through 9 stories of history and enjoy the landscape view overlooking the the town before making your way to nearby Tso mo gompa, a Buddhist monastery which was founded 1430. Pay respects at the 3 story high Maitreya Buddha gold statue and see the town from a different angle. Lastly, make your way to ‘Shanti Stupa’ where you can do 3 (clockwise) rounds of the Japanese inspired monument which sits at the hilltop of Changspa local area. Return to your Leh based accommodation for overnight stay. After breakfast our driver will collect you from your overnight accommodation and transfer you over Spituk Bridge and into Zingchen village. From there, you begin your trek whilst walking through the Stok mountain range. You will move slowly towards the wilderness of the Himalayas as you lose site of the Leh/Srinagar highway and after crossing a local gorge. Next, make your way to Yurutse through Rumbak as you trek in a straight line heading towards Hemis national park (where you can enjoy various wildlife spotting of blue sheep, marmots and wild birds). After a steady walk on a narrow path you will reach Rumbak village where you can explore the local scene and continue you to Yurutse for dinner and overnight stay. Today you will follow the mountain path from Yurutse, whilse crossing the valley and walking in a zig-zag route. Once you cross the Gandala pass (4380m) you will witness the Stok Kangri glacier and many K2 ranges. After a short rest and having marvelled at the amazing view, you will walk down the mountain to reach Shingo where you begin the long-awaited approach to Markha valley. Overnight stay in Skyu village. An early morning departure sees you walking along the right bank of Markha where your guide will explain the habits of local vegetation and agriculture. After crossing the man-made wooden bridge you will pass a barren land to reach Chalak - a small village where you can take a short break and mingle with the local people. After your power break, you will use all your energy to charge through the river crossing before making your way to Markha village for overnight stay. After breakfast you will make your way to Hankar village. You will get lost in your thoughts as you enjoy miles of barren pastures and wildlife spotting before reaching first the lower and then the upper Hankar villages for well earned rest and overnight stay. Start your day with a light journey to Thachungtse where you can rest for a while before making your way to Nimaling (4900m above sea level). Along the way, you can spot blue sheep, goats and yaks grazing on the local flora and being herded by the nomadic tribes of Marka valley. As you approach your overnight campsite, you will catch views of Kang Yatse (6400m) - a popular Himalayan mountain known for its two main summits and knife-edge traverse. Overnight stay in parachute camp. 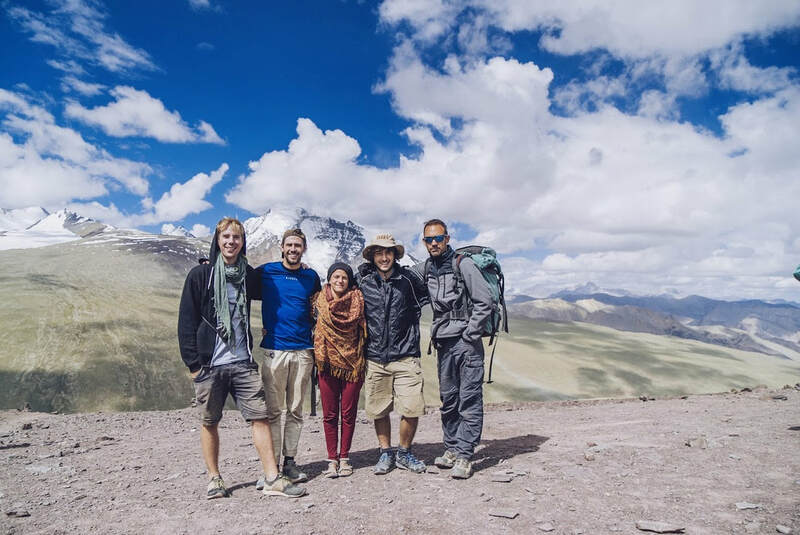 You will begin your final day of trekking with one last stop at Kongmaru La (5100 m) which offers a complete view of the Ladakh ranges and all the local villages to the north of Indus valley. Your last night in the great outdoors will be spent in Shang Sumdo village where you will rest for overnight stay. Our transfer representative will collect you from Shang Sumdo village and transfer you by vehicle back to Leh. You will also have an optional half day of monastery sightseeing starting at ‘Thiksey’ monastery. Commonly referred to as ‘Little Lhasa’, Thiksey has become a popular tourist destination because of its architectural resemblance to the ‘Little Potala Palace’ in Lhasa, Tibet. Finish the afternoon with a short drive to Shey Monastery and then the local Palace which were both built in 1655 as summer retreat spaces for the reigning King. Return to Leh for a well deserved rest and overnight stay.